It’s that time of year! School’s out, the days are longer, the temperature is warmer, and everywhere you look, there’s Festivals, Events and lots of FUN parties! You and your little ones are looking to have some SUMMER FUN!!! Maybe your company is having a big festival or event coming up, and you’re looking for entertainers to really WOW the guests and leave lasting memories! Look no further- PARTY ANIMALS is here to kick up festivities with the BEST entertainers in Atlanta! With Balloons, Magic, Face Painting, Games, and so much more- Read on for ideas to make this summer the BEST SUMMER VACATION EVER! What better way to beat the heat than by cooling off in your local swimming pool! Everyone’s going to be hitting the water this summer, so why not book your next event at a local pool! Make it a themed birthday party for your little one and have a mermaid entertainer come out to sing & dance with all the kids! Not a princess fan? No problem! We also have fun (not scary!) clown friends that will LOVE to come out to entertain your guests with magic, balloons, music and outdoor games! Balloons are colorful. Balloons are fun. Balloons are an essential part of every party! The best thing about balloons? When they are Twisted up into your child’s favorite animal! Bright & colorful and great for every age- our entertainers will wow your child with their amazing magical balloon making skills! 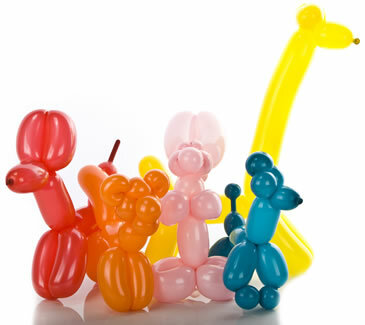 Every performer we send out will bring tons of balloons in all colors of the rainbow, ready to make in all sorts of balloons shapes- from dogs and rabbits to hearts and swords, your kids will love getting a fun balloon of their very own to play with! During the summer months, there’s no shortage of festivals going on around Atlanta. Whether it’s a grand opening, a local charity event, or a celebration of sorts- you can be sure our Entertainers will be a HIT at your next event! Our Face painters are professional, reliable, and of course, FUN! Every Face Painter dresses up in wacky fun clothes with their own unique personality. Every Entertainer arrives early to set up with all of their own professional party supplies. 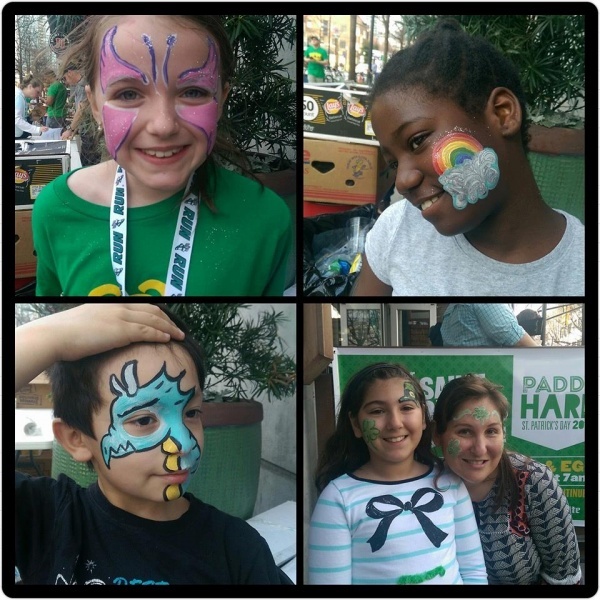 Kids and adults alike will be lining up ready to get their face painted! All entertainers will call you the week of the event to go over all of the details! Summer birthdays are great- everyone loves to play outdoors and so do our Entertainers! Our Entertainers will come dressed up in a cute & silly clown outfit, princess or super hero of your choice to come out to your home and put on a show! Balloon animals, Parachute Games, Hooping, Dancing, and more! Throw a birthday bash you and your little ones will remember years to come! Why not add a special appearance by one of our costumed characters- we have over 100 selections of costumes and mascots to choose from! What’s that? You’re throwing a themed birthday bash? A Super Hero Soiree? A Pretty Princess Party? 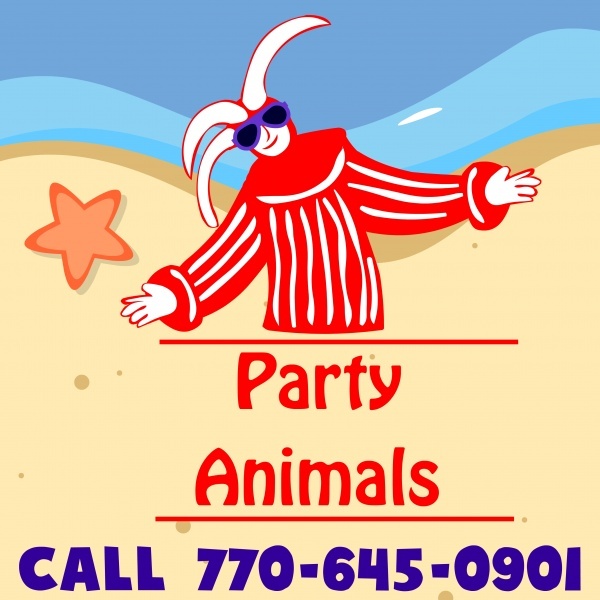 Well, Party Animals is here to help you throw your next themed party! We will customize your package to what you need. Book a Superhero to come save the day and teach your kids how to save the world. 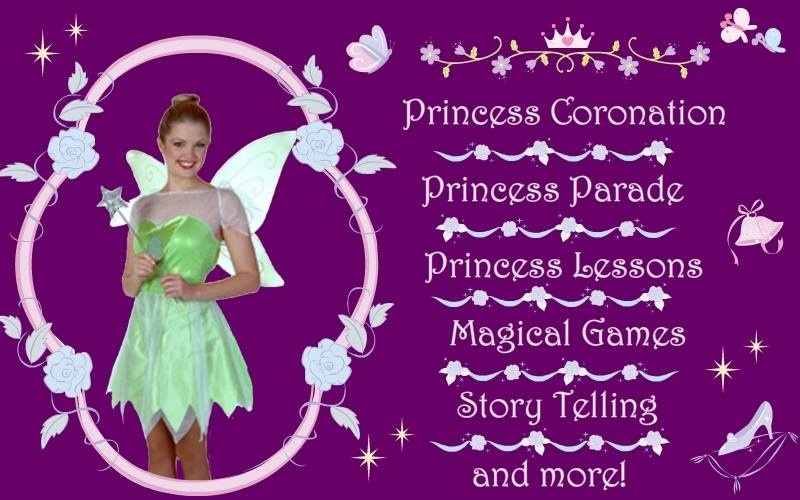 Our beautiful princesses are glamorous and will make your little angel feel like the princess that she is! Maybe you have another theme in mind? Call us to discuss! With dozens of costumes and mascot characters, you can be sure that Party Animals has something for you! 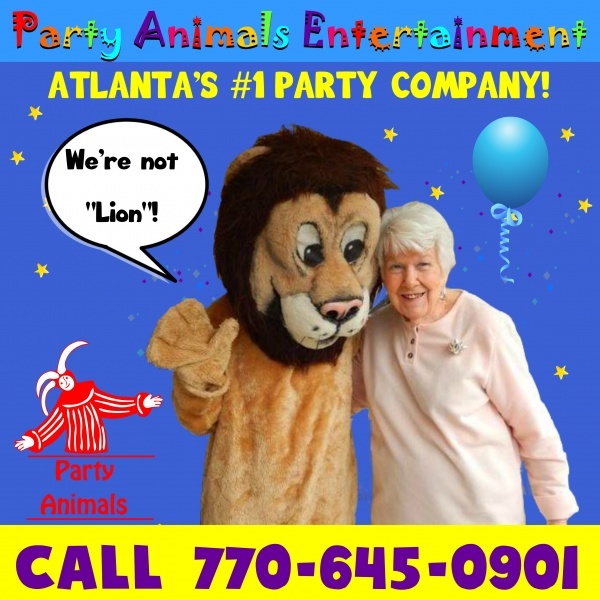 Party Animals Entertainment only hires the best Entertainers in Atlanta. All Entertainers have years of experience in the performing arts. Here at Party Animals, we know each and every event is unique. Our Entertainers will call you the week of the party to go over the details and what to expect. We arrive promptly, ready to start at your designated time, with all the party supplies at hand. 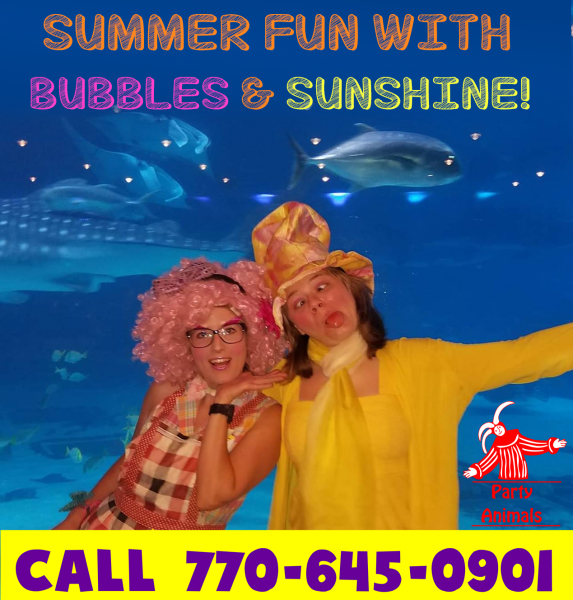 Make this Summer unforgettable with PARTY ANIMALS ENTERTAINMENT! ← Hop into Easter this Spring with Party Animals!